Come visit the shop this weekend for more free goodies, new prints and cards, and amazing deals on bookmarks, washi tape, stickers, and stamps. Also, make sure to present your student or teacher ID for 15% off your entire purchase. To find the shop, following your nose! I'm located in front of Mrs. Field's Cookies, just a skip away from the Women's Macy's. 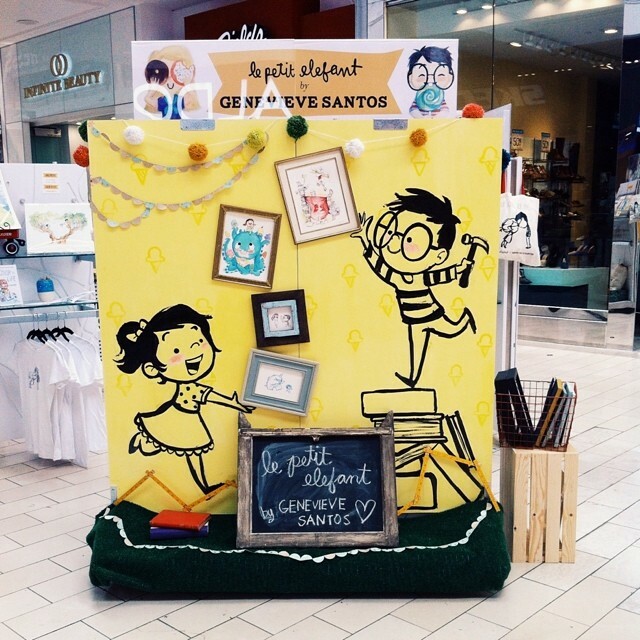 Le Petit Elefant Summer Shop is now OPEN!
. 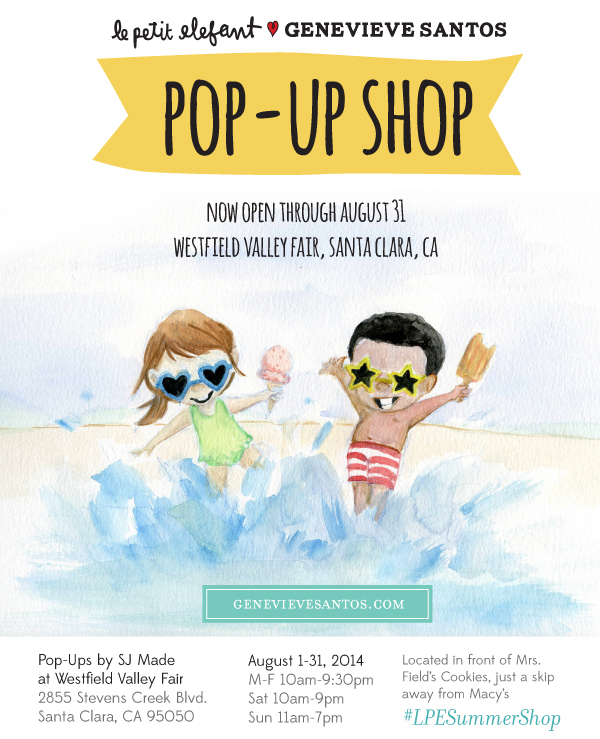 The #LPESummerShop features new art prints, stationery, rubber stamps, stickers, mason jars, and more! , I have "Shop Local. Shop Love" Clink tote bags EXCLUSIVE to the #LPESummerShop. 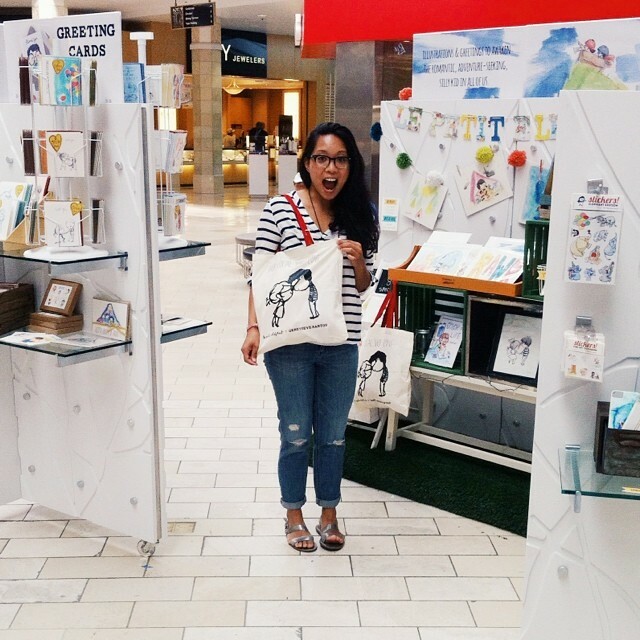 I'll be giving away tote bags to the first 10 customers who spend over $25 both this Saturday & Sunday (August 2 & 3). Get 'em while you can! At the end of the month, I'll put the remaining for sale online. , #LPESummerShop) and you'll get 10% off. Weeeee!! OK everyone, thanks for reading and visiting! I hope you'll come to the shop. This moment is huge for me, and I'm so thankful you're all here to share this crazy adventure. Kickin' off my 30s with a SALE!! I'm coming to Houston everyone!! The land of BBQ, NASA and a wonderful museum district. I met Leila & her husband, the owners of Space Montrose, a little over a year ago at Renegade Craft Fair Austin. Leila, like many of her shop's patrons, is a geek at heart, and I thought it would be perfect to bring my illustrated explorations of space to her shop for a art exhibition. Won't you join us? It's the first exhibition in their new location, and the opening happens to fall on the summer solstice. So there's lots to celebrate! Scroll down for more info & sneak peeks!
! I'm nervous but mostly excited because I have so much new stuff to share. Find me at SP-120 in the back left corner of the Anaheim convention center. Supahcute Science Fair opens this Saturday! because one, it's an amazing roster of talented artist, and two, SCIENCE!! Little known fact: I was a biology major during my freshman year at USC. Weird, right? I totally wanted to work in the sciences and be a geek in a lab, etc, but the calling for art was stronger. So this combines my two great loves. I hope you can attend! If not, you can view the art online very soon. I'll post a link when ready. to view & purchase the art. All my pieces sold (yipeee!!) but there are some really amazing ones still left!! Happy Valentine's Day! 6 years ago, I hosted an anti-Valentine's day party. Thankfully Kevin decided to attend rather than watch Juno, drink a bottle of wine, and eat a KFC bucket like he originally planned. , or snag one at the info booth at most Renegade Craft Fairs. They're usually there repping.
. Think of it as another version of Etsy but without the facade of being all "handmade" (quotations around handmade because I've been seeing more and more mass-produced items on there and it's watering down the quality of Etsy, but that's another topic). It's marketplace to find small businesses, and it's absolutely wonderful. They've been putting together gift guides as well, and I had the great fortune of being featured on their latest two. If you haven't browsed through Square Market, you're in for a treat. Make sure you set a budget for yourself though! ;).